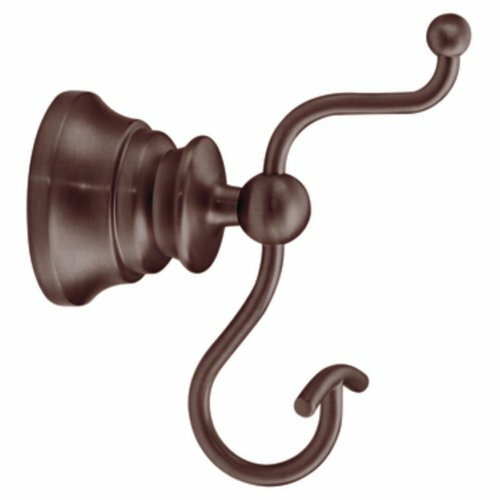 YB9803ORB Finish: Oil Rubbed Bronze Features: -Waterhill collection. -Creates a fine metallic look. Product Type: -Towel/Robe hook. Style: -Traditional. Mount Type: -Wall mount. Finish: Primary Material: -Metal. Dimensions: Overall Height - Top to Bottom: -6.25 Inches. Overall Length - Side to Side: -6 Inches. Overall Depth - Front to Back: -6.2 Inches. Overall Product Weight: -1.12 Pounds.